Summer Rocks! 2018 is an opportunity for your child to learn the basics of Rock Music in a fun and safe environment. We assess and pair up students at a comparable skill level and work together to form bands, leading up to a special performance at the end of each week. 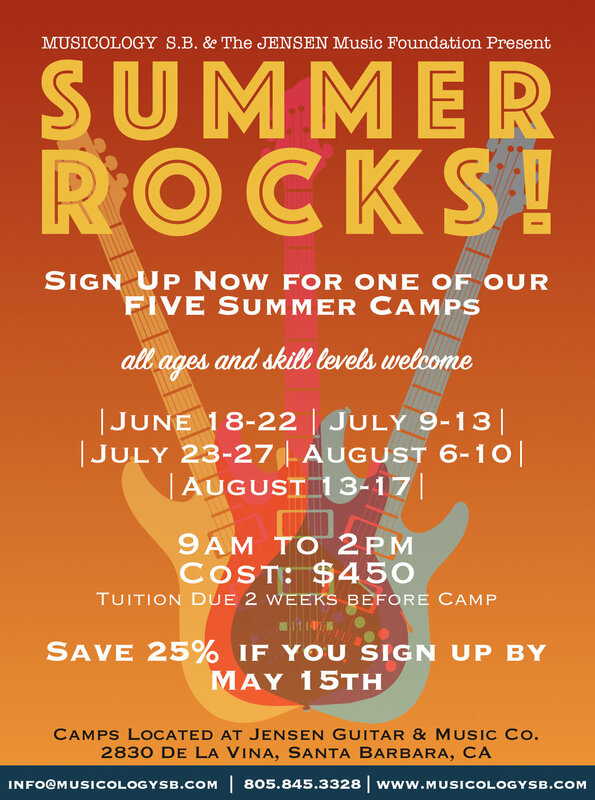 Throughout the week, camp instructors will also teach a brief ‘History Of Rock N Roll,” so each student can learn to appreciate the great songwriters and musicians who have paved the way for today’s popular music. We encourage all Summer Rocks! Participants to bring a playable instrument of their own to camp each day. If a camper does not have access to an instrument of their own, Musicology Santa Barbara will provide an instrument during camp hours only. Call or Email us today for more information!